Hypothyroidism Skin Changes | Crank It! The thyroid plays a vital role in keeping your skin normal. For someone suffering from hyperthyroidism or hypothyroidism skin changes are common. These conditions of the thyroid gland can have several abnormal reactions on your skin. Hypothyroidism is a condition where your thyroid gland under produces ie it fails to produce the optimal amount of thyroid hormone. 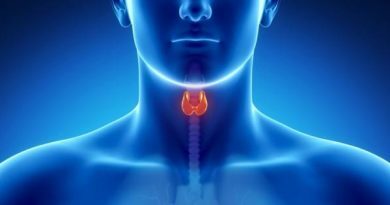 The right level of thyroid hormone is crucial to keep many bodily functions humming along in sync. When they’re not, things get out of sync resulting in health problems. Under the condition of hypothyroidism skin goes under several changes. The most common is that it makes the skin exceptionally dry. This is more obvious if previously your skin was very oily or mildly oily. In hypothyroidism skin dries out, causing it to become scaly and coarse. You may find that your skin will also crack, flake or age easily. This cracking allows harmful organisms like bacteria to penetrate the skin’s tissues, setting up inflammation and even infections. Doctors recommend using a mild soap sparingly and a mild moisturizer regularly. It’s also advisable to keep water temperatures down when bathing or washing. In some cases your drying skin will have been caused by a reduction in sweating, which in turn happens as your metabolism slows down. Sweat is an important natural moisturizer and cooling mechanism. Without enough sweat your skin dries out and you also have an increased risk of overheating. When suffering from hypothyroidism skin also tends to swell up especially in the feet, hands and parts of the face (like eyelids). This is because, due to lack of sweating, excess water is retained under your skin causing puffiness. You can help reduce this by doing regular physical exercise to stimulate the body to sweat and shed excess water. When affected by hypothyroidism skin may also change color and get a yellow tint. This is caused by a condition called carotenaemia. Normally carotene is converted to vitamin A but in hypothyroidism sufferers this conversion is impaired allowing the carotene, which is the yellow pigment in vegetables like carrots, pumpkin and sweet potato, to build up. Carotenaemia can also be caused by excessive consumption of these yellow pigmented foods. Your hair follicles may tighten up under hypothyroidism and thus cause hair fall on the scalp and eyebrows. To ease the follicles try massaging daily on regular basis. This will aid in loosening the follicles by improving your blood circulation through the skin. Skin discoloration is also a symptom of hypothyroidism. In hypothyroidism skin may develop an uneven texture and become blotchy. You may also have unexplained bruises. To reduce discoloration, regularly use a mild exfoliating agent. Remember not to use anything too harsh on your skin as it will make it worse. Hypothyroidism can also cause the skin to become thick thus coarse, which may cause discomfort to some patients. It is usually apparent on the legs, feet, arms, hands etc. It will also cause your nails to thicken and become brittle. Regular massages with oil can help alleviate the discomfort and put moisture back into your skin and nails. 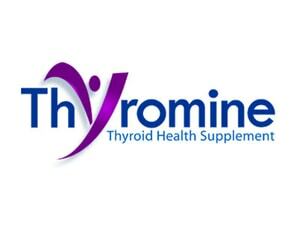 Hypothyroidism is known to make your immune system weak too. This slows down the skin’s natural healing process so injuries tend to heal slowly and poorly. These effects of hypothyroidism can be severe on the skin if not treated properly. If these signs appear on your skin you might have an under active thyroid which needs to be treated as soon as possible. You should go see a physician before applying and trying home remedies, which can have adverse reactions if it is indeed a condition of hypothyroidism.